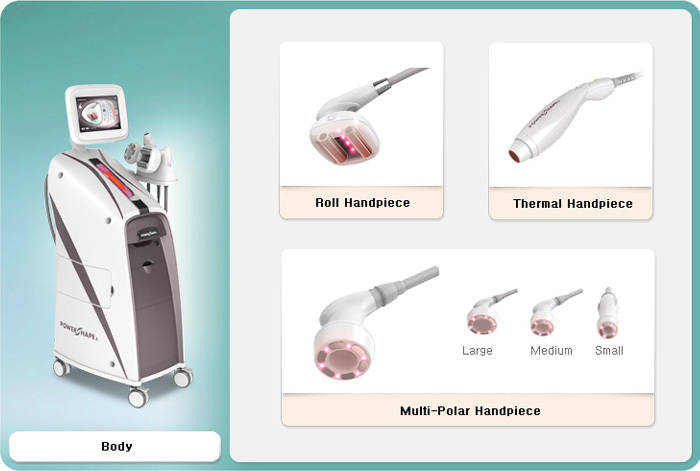 Power shape 2 is a combined device of BI-polar RF, Vacuum, cold laser, Multi-polar RF, and thermal RF for powerful result. Radio frequency delivers thermal energy deep into dermal layer, and involves applying electromagnetic waves to return physiological processes. Reiterated vacuum massage effect alleviates the minor muscle pain and etc. Large size auto roll applicator pulls up the targeted area of skin enhance vacuum suction effect. 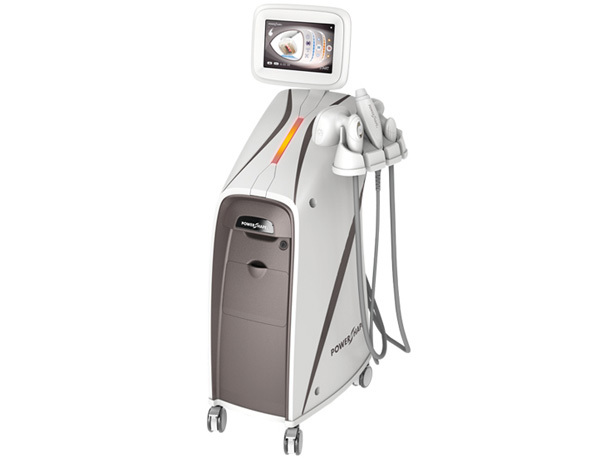 By delivering thermal energy in non-ablative method, RF energy penetrates deep into the dermis layer, resulting in collagen stimulation without any damage to the superficial skin.